Cory Eckert and Kendra Jones, two of the co-founders of Storytime Underground, spoke first. Eckert posited that libraries have never been neutral and that we make non-neutral decisions every day when we decide what we do and don’t promote in our libraries. Jones argued that, when planning holiday programming, librarians need to be mindful of the program’s potential to alienate patrons who don’t celebrate specific holidays. Karen Jensen, of Teen Librarian Toolbox (TLT), shared ways to promote social justice in libraries that, like hers, might be resistant to the idea. Without using any words or signs, for example, Jensen created a Black Lives Matter display by highlighting books about African Americans. She let the books speak for themselves—and they flew off the shelf! Via recorded video, Dr. Debbie Reese, of American Indians in Children’s Literature (AICL), reminded us of the United States’ settler colonialism that stole Native lands. She also cast a critical eye on microaggresions that appear in library cataloging: while Christian texts are shelved in religion, Native religious texts are shelved in folklore. Jessica Anne Bratt, co-founder of Libraries 4 Black Lives (L4BL), encouraged talking about race in storytime to both empower nonwhite patrons and open up a dialogue with white patrons. As with any other part of storytime, Bratt suggested that we first practice talking about race. “If you’re uncomfortable talking about race, your patrons will be too,” she said. 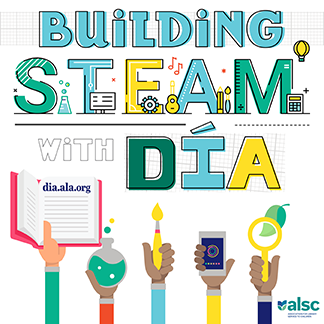 Dr. Nicole A. Cooke, from the University of Illinois iSchool, shared the ways in which she prepares her students for careers in librarianship through social justice-themed classes. She cautioned that taking diversity classes because they are “marketable” is the wrong approach. “It’s not good enough to check a box,” she said. When we learn about cultural competence, we need to do something about it. There are so many ways to incorporate social justice into library work. 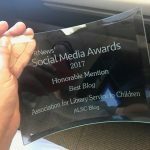 What are your libraries doing now? What will you do next? The work continues.